The government has shut down debate on its controversial bid to rewrite Canada's election laws. Just one day — and a little more than two hours — after consideration of the now-amended fair elections act bill got underway in the House of Commons, Conservative MPs used their majority to pass a motion that will see the House spend just one more day on report stage, followed by one day for third reading. The controversial bill is now likely to go to a final House vote early next week. Not surprisingly, opposition members were unanimous in their condemnation of the move to curtail debate. New Democrat House leader Peter Julian called it "absolutely disgusting," and reminded the House that Van Loan had actually served notice of his intent to bring down the hammer just 10 minutes after Wednesday's debate began. 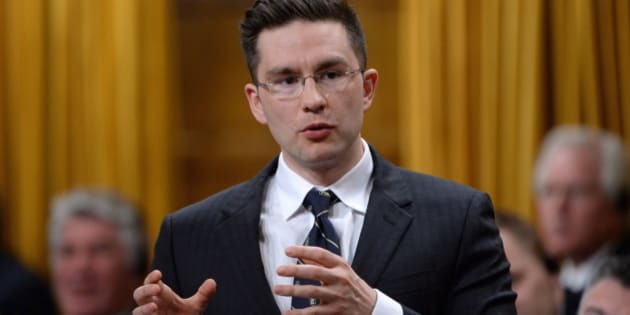 In response, Democratic Reform Minster Pierre Poilievre suggested there has been "more than enough debate" on the proposed reforms to the Elections Act. Liberal MP Kevin Lamoureux told the government there was "no possible spin they can put on this" to suggest the changes will strengthen the existing election laws, and challenged Van Loan to defend his move to impose time allocation on such a fundamental part of Canadian democracy. Poilievre, however, said previous Liberal governments made similarly sweeping changes without the support of opposition parties, and insisted that Canadians are on side with his bill. Before the last round of debate can begin, MPs will first have to decide the fate of more than 100 opposition-backed amendments — virtually all of which propose deleting specific clauses of the bill. House of Commons Speaker Andrew Scheer was able to whittle down the number of votes by grouping similar motions together, but even after the procedural streamlining, it will likely take several hours to get through the 16 standing votes required to move on to third reading. The process could last well into the evening if the New Democrats employ their signature "slow vote" tactic, which can result in a single roll call taking up to half an hour.